It was more than just a regular visit to this zoo for a couple in Cincinnati, Ohio. CINCINNATI, Ohio -- It was more than just a regular visit to this zoo for a couple in Cincinnati, Ohio. Hayley Roll had no idea what her boyfriend, Nick Kelble, had in store when they went to visit the Cincinnati Zoo. During the couple's visit to the hippo enclosure, Kelble got down on one knee to propose. 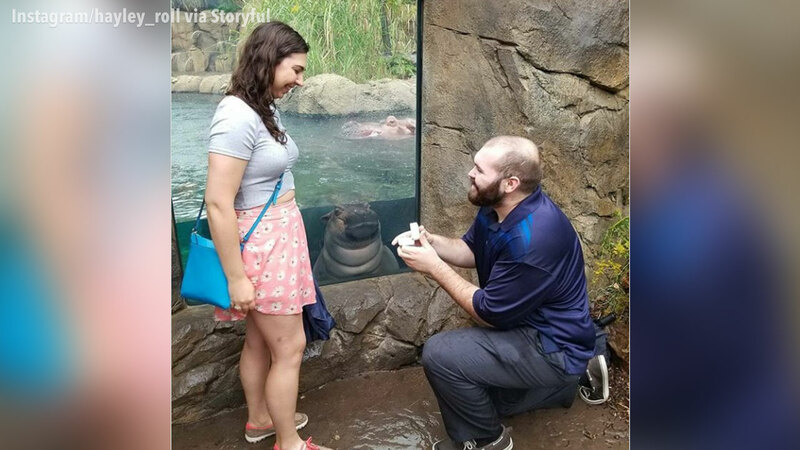 The proposal was made extra special when the zoo's famous hippo Fiona decided to drop in for a photo. Roll says in an Instagram post, "We're so happy Fiona could be there on our special day."